How can the hospitality industry accurately measure customer satisfaction? Any time you stay in a nice hotel, a constant across the hospitality industry is that the staff will provide good customer service to make sure you enjoy your stay. But how can this customer satisfaction be accurately measured? 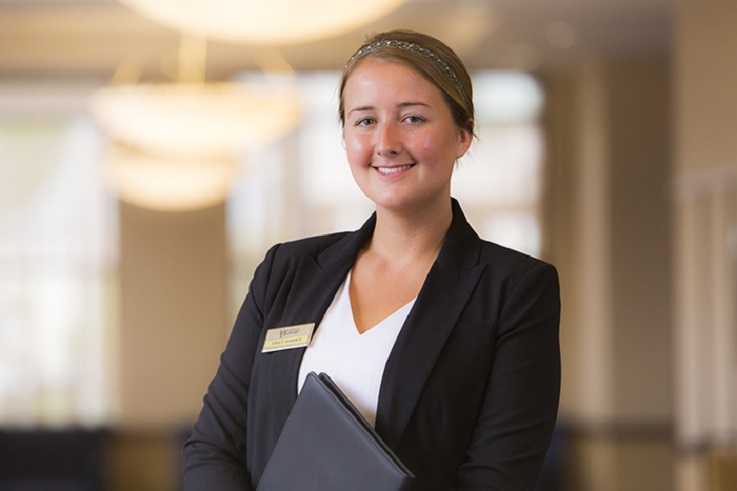 Sheryl Kline, professor and chairperson with UD’s Department of Hospitality Business Management, is attempting to answer this question in her research, which seeks to develop a managerial model for satisfaction in the hotel industry. Kline’s research is centered on the effective management of customer relations for hotels. Her methodology includes an extensive review of existing customer delight literature, and from this, Kline is able to identify the key concepts necessary for customer delight to occur. What Kline has discovered in her research is that “customer delight,” not merely customer satisfaction, is the best measure of customer relationship management. In her study, Kline uses customer delight literature from various industries and applied such knowledge to the hospitality industry. Applying these concepts has been groundbreaking for the fields of hospitality organizational behavior and human resources in the industry. Kline defines customer delight as going beyond merely satisfying the customer and actually giving them something positive to talk about. Kline posits that when a customer is satisfied, it just means that he or she found the service to be adequate, but when a customer is delighted, it means that he or she found the service quality to be above and beyond expectations. That means he or she is more likely to tell friends, family members and associates about the service and the hotel. In her work, Kline found customer delight to be an excellent method of retaining loyal customers who are more likely to use that company again the next time they require hospitality services. Meanwhile, indifferent or upset customers are less likely to patronize the same hospitality companies again. This research by Kline has great implications in the hospitality field in terms of financial and social incentives to develop a managerial model for the hotel industry.